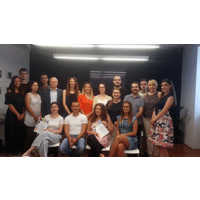 On Monday, July 30, 2018, the Fifth National School of Transitional Justice organised by the Humanitarian Law Center completed its course. The School participants were 25 students of law, security, political science and history, activists from NGOs, journalists, law apprentices and history educators from Belgrade, Surdulica, Mladenovac, Smederevo, Ribarica, Novi Sad, Kragujevac, Požarevac, Pančevo, Bor and Niš. 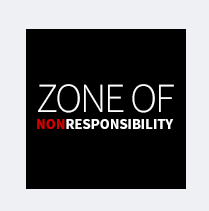 They acquired knowledge about the concept of transitional justice and its mechanisms, and its application in Serbia in the context of the armed conflicts in the former Yugoslavia, and considered the case studies of Srebrenica, Kosovo, Vukovar, Oluja, Hrtkovci, Skočić, and Zvornik. Besides the opportunity to learn about the court-established facts regarding these crimes, the participants were also able to assimilate some of the facts from the victims’ perspective. 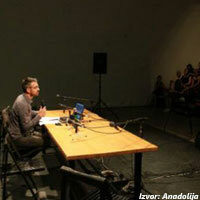 In this manner, they had the opportunity to hear about the experiences of Suvada Selimovic, from the town of Djulići near Zvornik, and Zijo Ribić, from the town of Skočić near Zvornik, who talked about pre-war life in their villages with their neighbours, about the war events they witnessed, and their fight for truth and justice after the war ended. 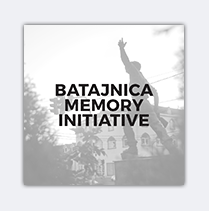 The agenda also included a visit to monuments in Belgrade which bear witness to the currently dominant ethnically-biased manner of remembering victims’ suffering during the wars in the former Yugoslavia. 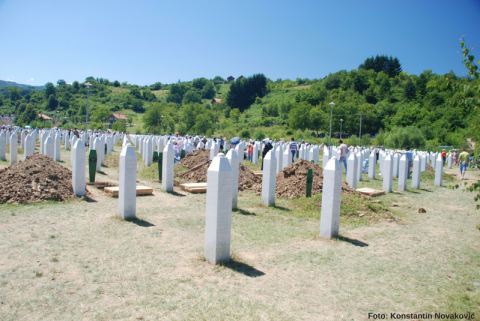 members of the Serb forces killed one of the detained Croat soldiers. When they came to the minefield, the remaining detainees were forced to enter it and clean the ground with their own feet in order to clear it of mines. At least one mine exploded, while members of the Serbian forces opened fire, killing 20 detainees, and wounding 12 of them. This incident was preceded by the psychological and physical torture over several days of local Croatians from Lovas, the deliberate destruction of their houses, killings, detentions and discrimination, such as forcing them to wear white armbands or marking their houses with white fabrics. 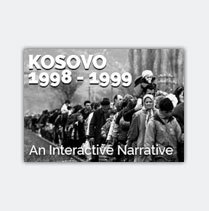 On the occasion of the 26th anniversary of the suffering of the inhabitants of Lovas, the Humanitarian Law Center invites you to a public lecture about these incidents in and around Lovas occurring in the autumn of 1991, as well as about the course of court proceedings in Serbia since 2007. The lecture will be held by the legal representative of the victims, lawyer Marina Kljaić. This public lecture will be held at the library of the Humanitarian Law Center (Dečanska 12/III), on October 18, 2017, starting at 18:00. The lecture will be held in local (BCS) languages. 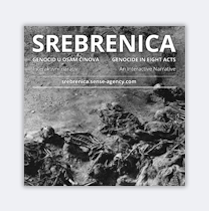 A public lecture on the court-established facts about the genocide in Srebrenica, held on July 11th in Belgrade, marked the end of the 8th Transitional Justice School of the Humanitarian Law Center (HLC). This year’s School of Transitional Justice was held with the support of the Heinrich Boll Foundation in Belgrade. 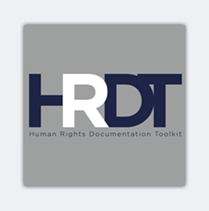 It was attended by students of law, political science, economics, history, and security, and activists from human rights organizations, youth workers, lawyer and court interns. Over the past few weeks they have gained knowledge about the disintegration of Yugoslavia and the armed conflicts that followed, the efforts of institutions and non-governmental organizations to provide the victims and societies with recognition and access to justice and truth, the contribution of the Hague Tribunal and domestic judicial processes, and the court-established facts about Operation „Storm“ (Oluja), the siege of Vukovar, and crimes in Kosovo. 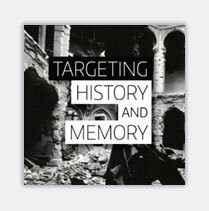 On these topics, they entered into discussions with historians Radina Vučetić and Marijana Toma, with Ivan Jovanović, an expert on international law, with a professor at the Law School of Union University, Saša Gajin, as well as with the HLC’s researchers. The selected papers written by the students of the third generation of the Regional School of Transitional Justice have been gathered in the third issue of the Journal of Papers. 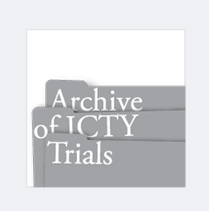 The student papers published in this issue deal with topics related to the process of transitional justice in post-Yugoslav countries, including war crimes trials, victims’ right to reparation and reconciliation. 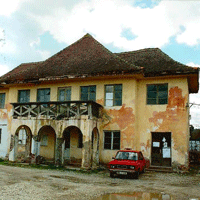 Lessons about the Past: towards Recurrence or towards Reconciliation? The Humanitarian Law Center (HLC) held a conference entitled “Role of Education in the Reconciliation Process”, on April 20th, 2016, in which history teachers and civic education teachers, representatives of the Ministry of Education, non-governmental organizations and expert members of the public participated. 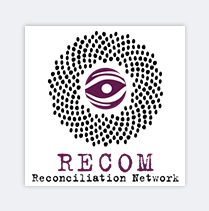 The Conference is a part of the HLC’s education programme “Education for Reconciliation”, which was established in 2012 in the form of a regional and national programme of informal education in dealing with the past. 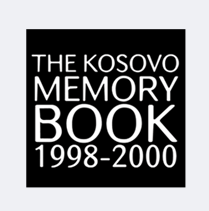 The objective of the Conference was to present two proposals for practical policies in the area of education, which would be focused on research into the needs and models for introducing topics from the field of dealing with the past, transitional justice and reconciliation into university programmes, and which would represent recommendations and models for incorporating judicial facts about the events of the 1990s into history books.